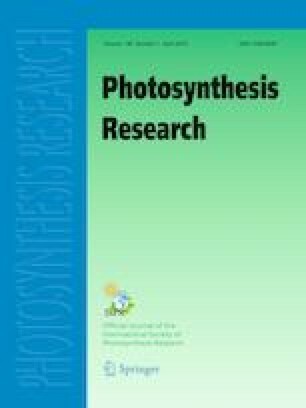 The acclimation of cyanobacterial photosynthetic apparatus to iron deficiency is crucial for their performance under limiting conditions. In many cyanobacterial species, one of the major responses to iron deficiency is the induction of isiA. The function of the IsiA pigment–protein complex has been the subject of intensive research. In this study of the model Synechocystis sp. PCC 6803 strain, we probe the accumulation of the pigment–protein complex and its effects on in vivo photosynthetic performance. We provide evidence that in this organism the dominant factor controlling IsiA accumulation is the intracellular iron concentration and not photo-oxidative stress or redox poise. These findings support the use of IsiA as a tool for assessing iron bioavailability in environmental studies. We also present evidence demonstrating that the IsiA pigment–protein complex exerts only small effects on the performance of the reaction centers. We propose that its major function is as a storage depot able to hold up to 50% of the cellular chlorophyll content during transition into iron limitation. During recovery from iron limitation, chlorophyll is released from the complex and used for the reconstruction of photosystems. Therefore, the IsiA pigment–protein complex can play a critical role not only when cells transition into iron limitation, but also in supporting efficient recovery of the photosynthetic apparatus in the transition back out of the iron-limited state. The online version of this article ( https://doi.org/10.1007/s11120-019-00638-5) contains supplementary material, which is available to authorized users. We wish to thank Hagar Lis for her valuable input during the preparation of this manuscript and to Dooby S. for his continuing support in this project. This work was supported by the Israeli Science Foundation ISF-UGC [2733/16] and NSFC-ISF [2466/18] grants.